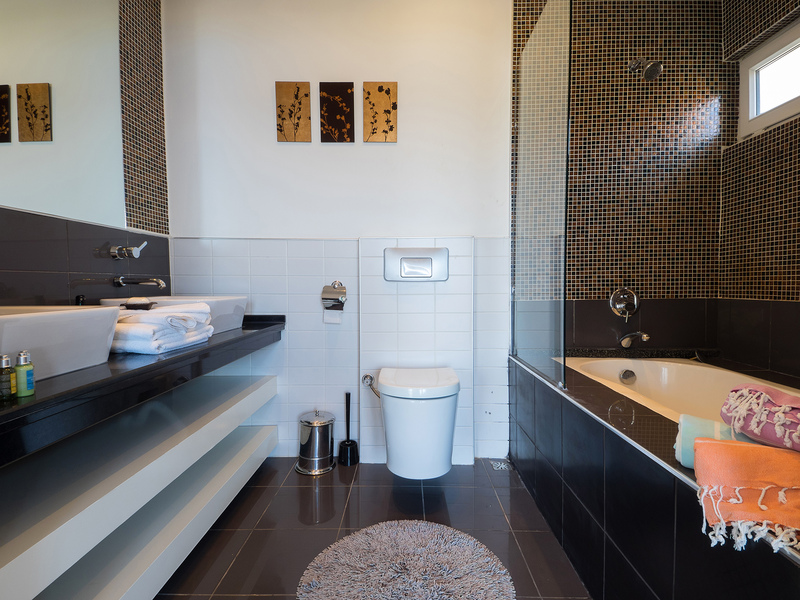 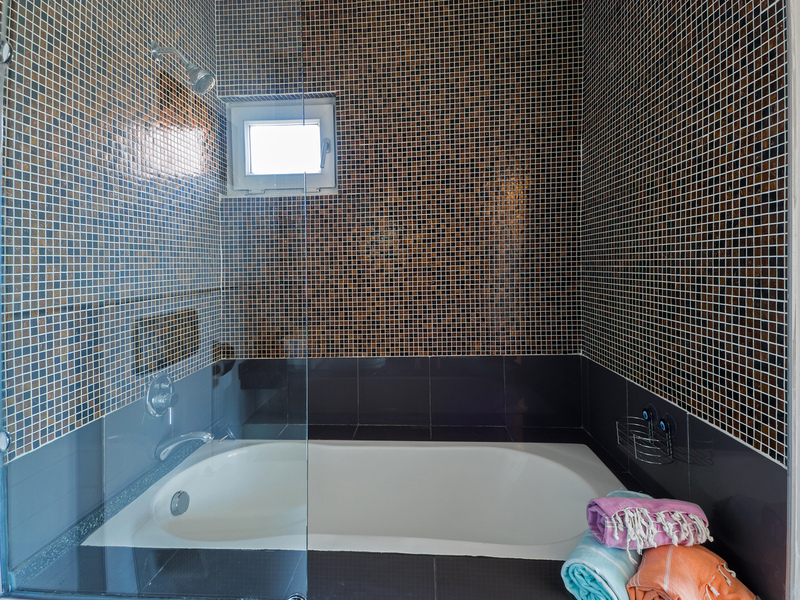 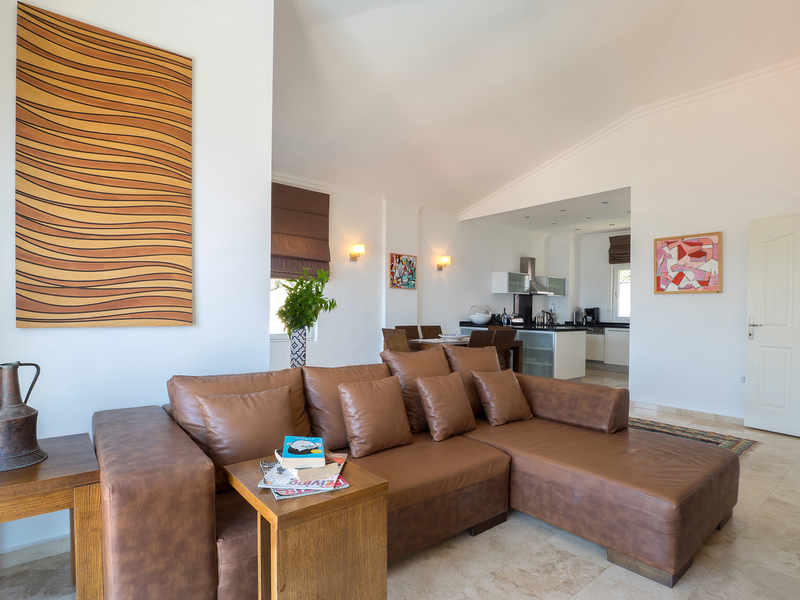 If you are looking for a different type of accommodation and prefer a self-catering apartment, we also have the UPART penthouse apartment (minimum stay of 3 nights). 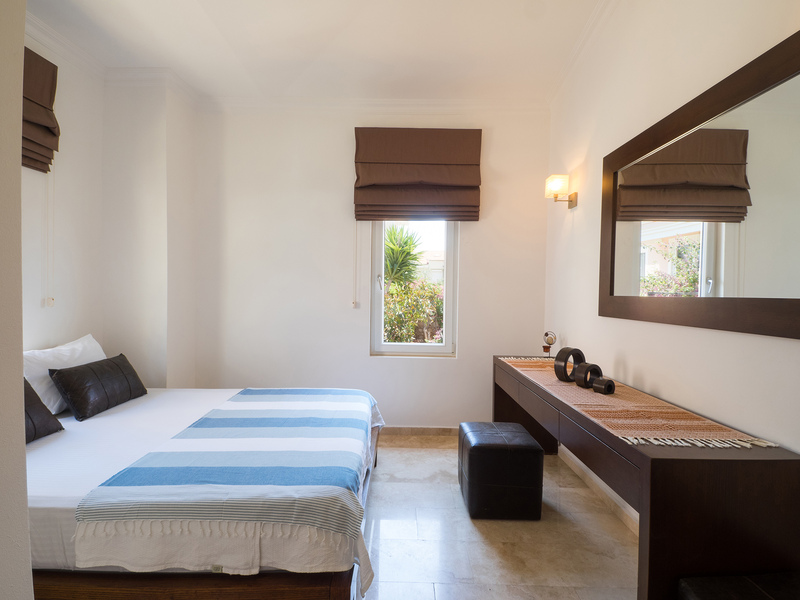 Our luxury apartment is located on the other side of town, about 15 minutes walk from the hotel. 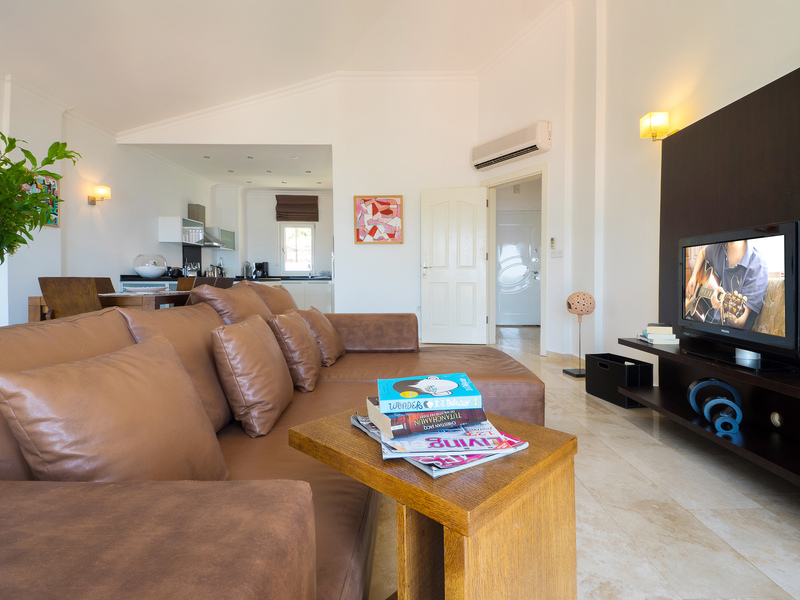 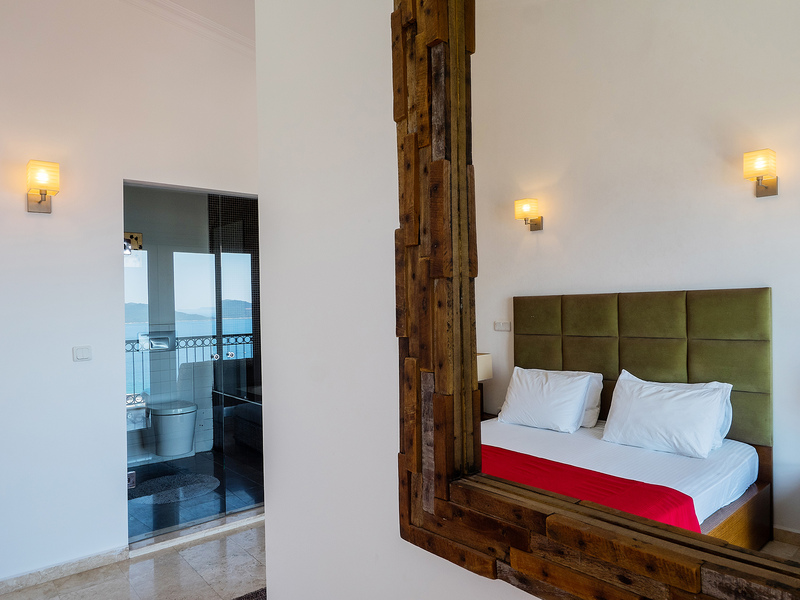 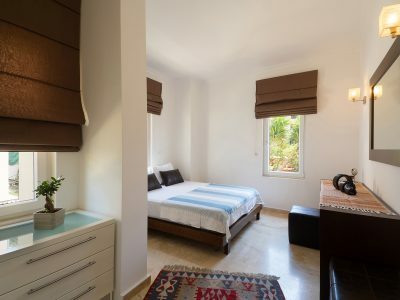 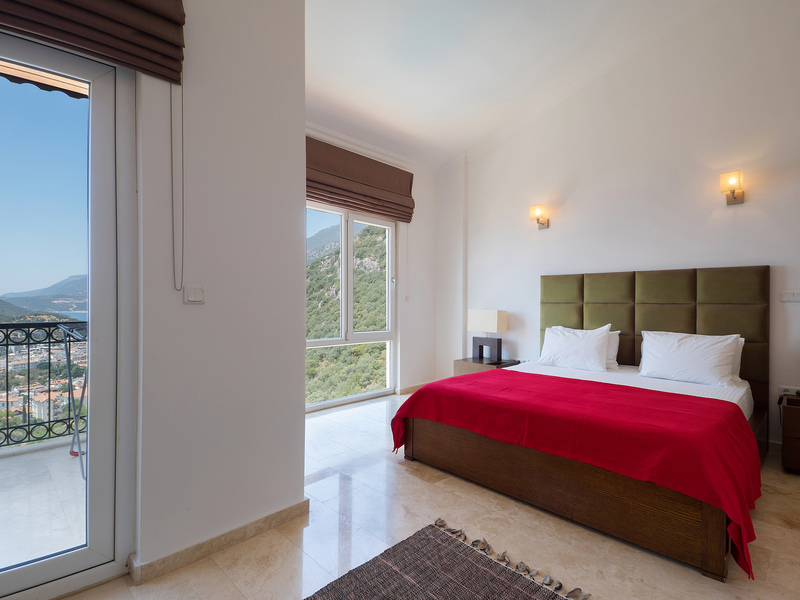 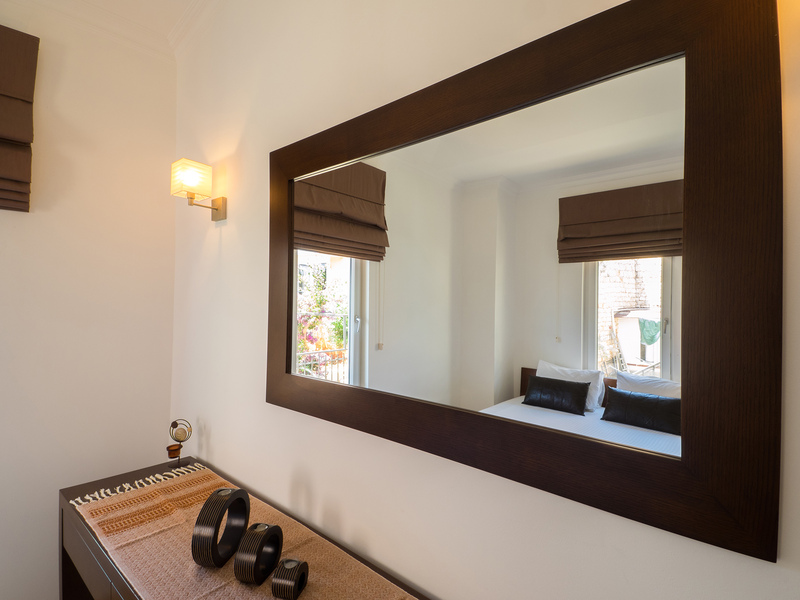 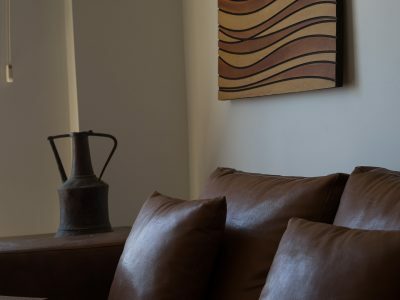 Our penthouse apartment has a living space of about 110 square meters and has been stylishly furnished . 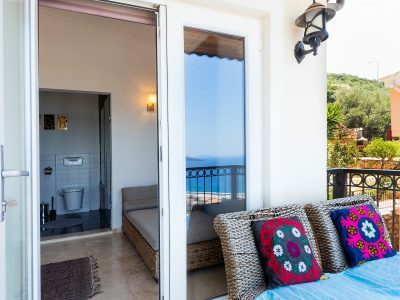 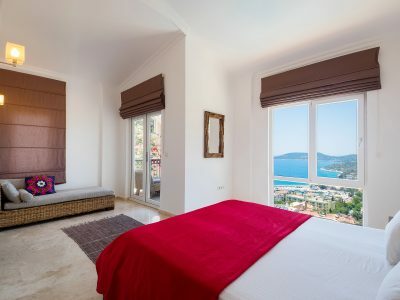 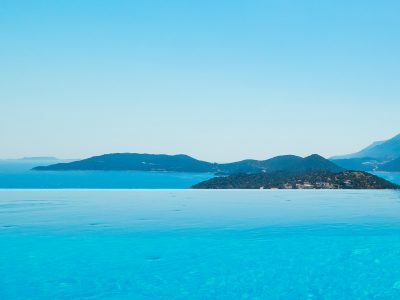 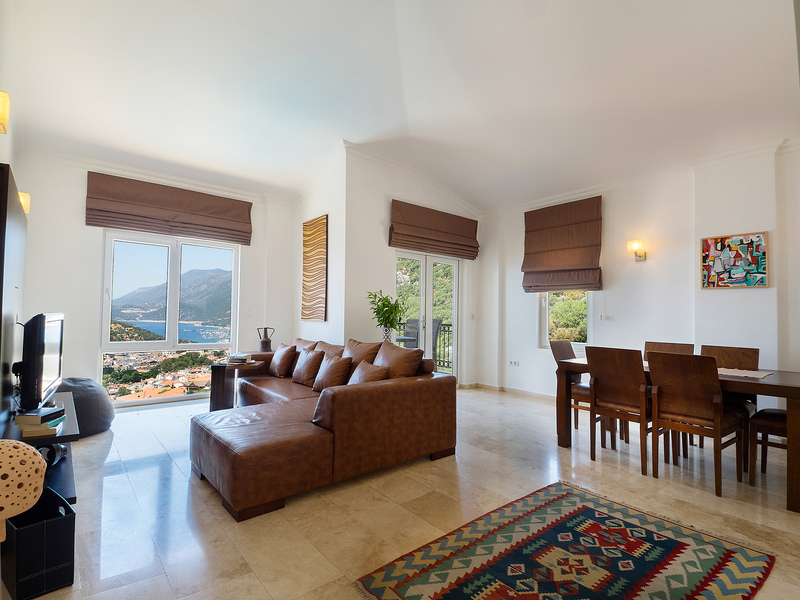 It has stunning views over the charming town of Kas and the Mediterranean Sea both from the living room and from the master bedroom. 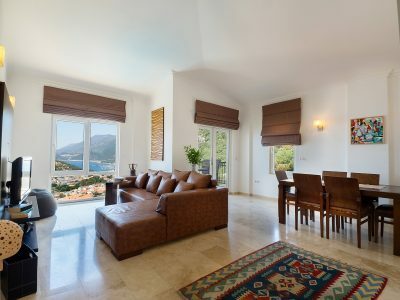 The apartment is located only 5-10 minutes walk from the city centre, harbor, and swimming platforms. The property has an area with a 30 square meter shared pool as well as a barbecue. 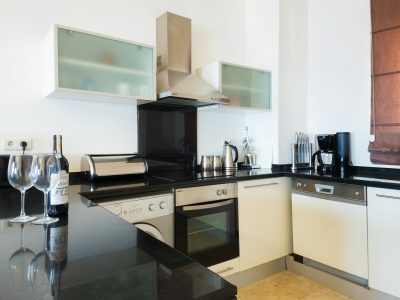 This area is shared with only two other apartments in the building. 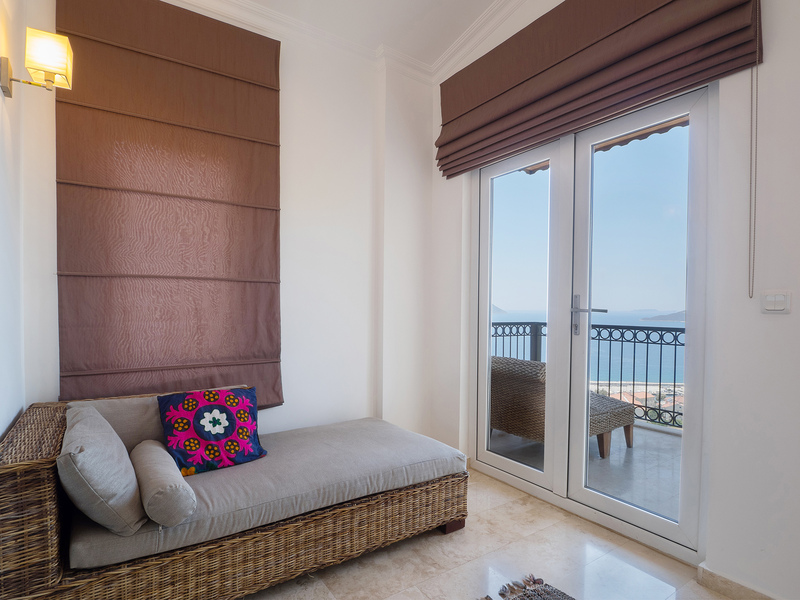 The penthouse apartment is situated on the 3rd floor of the building. 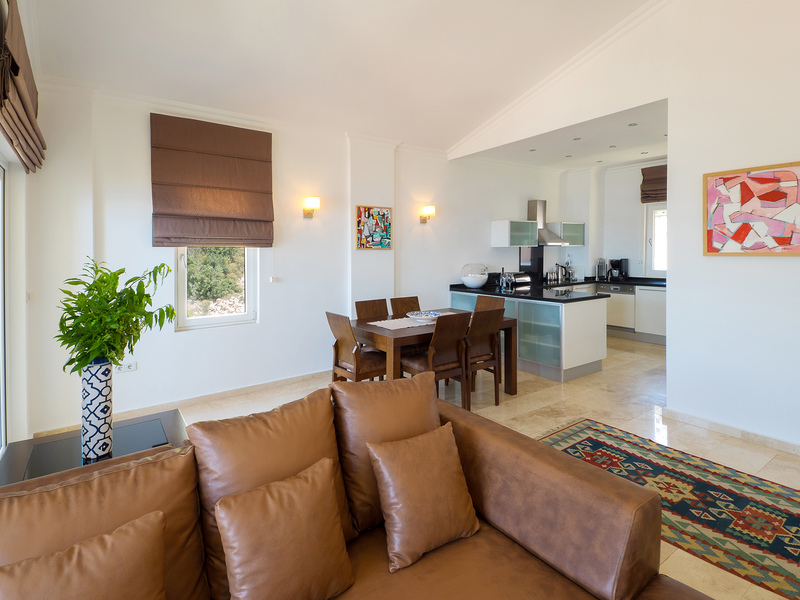 There is a large living area with an open plan kitchen. The kitchen is well equipped with a refrigerator, small freezer, oven, dishwasher and washing machine, as well as a kettle, toaster and a coffee machine. 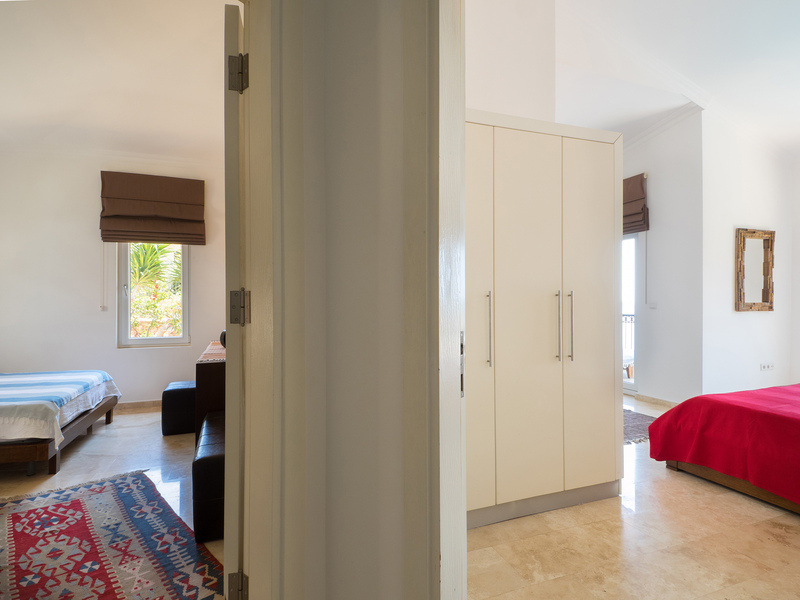 The apartment has 2 bedrooms, a small mattress can be added in the master bedroom, so maximum capacity is 5 people. For reservation and prices please contact us below. 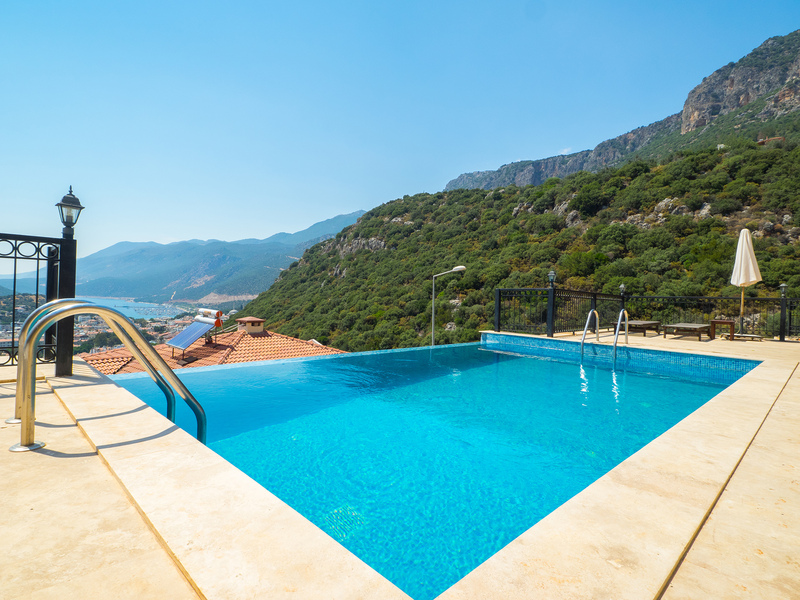 I can not recommend this special apartment enough, exceeded expectations, incredible views, spotlessly clean, cool despite the heat, and wonderful to use the pool to cool down in after a hard day on the beach. 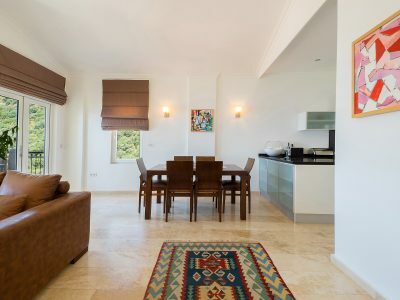 Very quiet but very near the town centre. 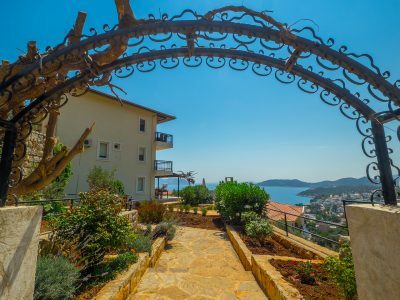 Kas is a special place and I look forward to returning. 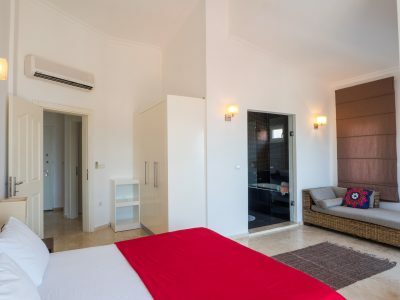 We really enjoyed our stay at this beautiful apartment with magnificent views from so many windows, well equipped, lovely pool, plenty of linen and towels. It is a very steep road, fine to walk down into town but a taxi ride $5 to get home for the lazy ones like us. 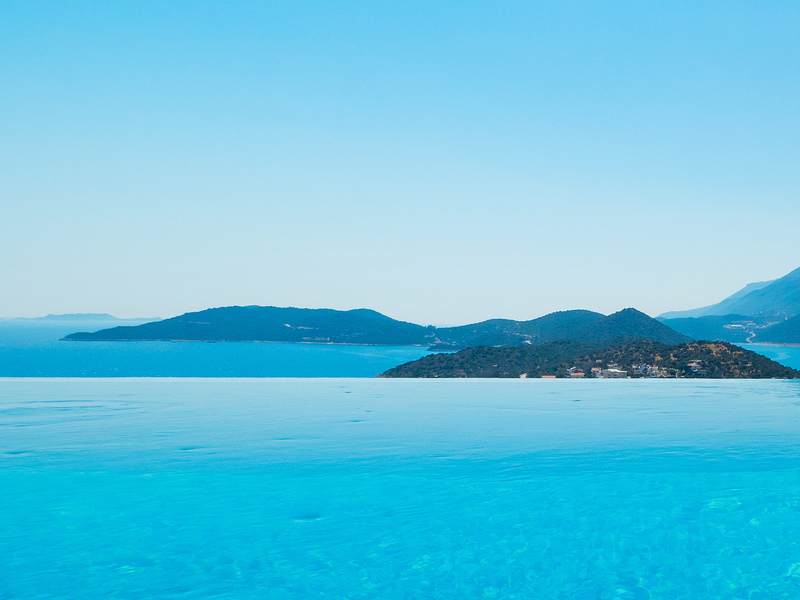 You couldn’t have such magnificent views if it wasn’t this high up though.